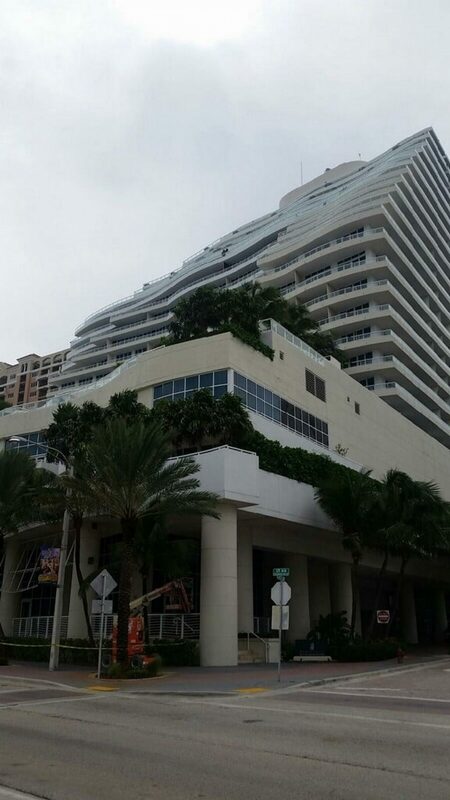 Situation > The 5-Star, luxury hotel chain, The Ritz Carlton, Fort Lauderdale had multiple projects to complete. The first was the addition of a spa on the 7th floor. T&G successfully bid this project and was able to negotiate the next two project phases which included the grand lobby and room renovations. transformation included a new men’s and women’s sauna steam room, along with a hair and nail salon. For the second phase T&G renovated 167 rooms. The architectural renovation scope includes new flooring, wall finishes, removal and replacement ofhardwood flooring, sound proofing and beautiful new finishes. The third phase of construction consists of the grand lobby renovation. The scope of work includes a new indoor/outdoor bar, fine dining restaurant and cafe marketplace deli. Additionally, two private dining areas were created. Results > This project’s final phase is currently under construction. The design portion completed emulates the Florida Keys, boasting rustic high end finishes that has the look of distressed wood. Custom floor tiles to simulate tarpon scales and custom concrete stained floor finishes topped off the beautiful remodel, allowing the guests an aesthetically pleasing view during their luxurious stay.